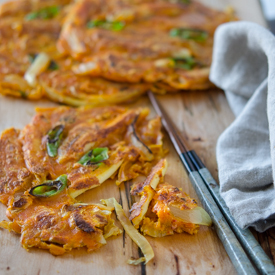 If you are a kimchi fan, I am sure you have tried kimchi pancakes already. The recipe itself is pretty much no brainier kind. 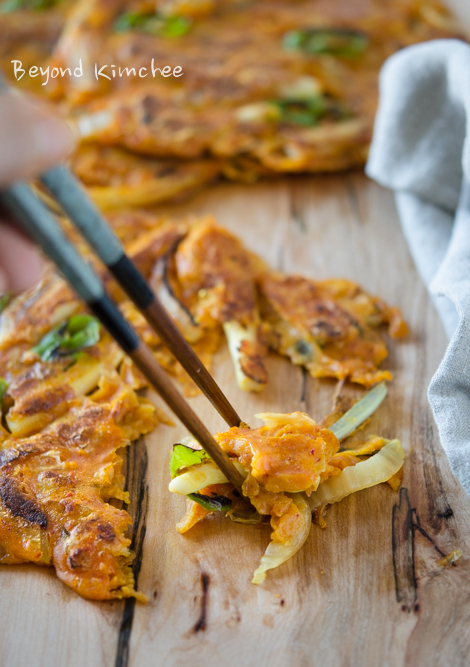 It is simple delicious savory pancakes to enjoy as an appetizer or snack. You can find many recipes floating in online and they are all pretty similar; Kimchi + pancake mix or flour mixed in water. 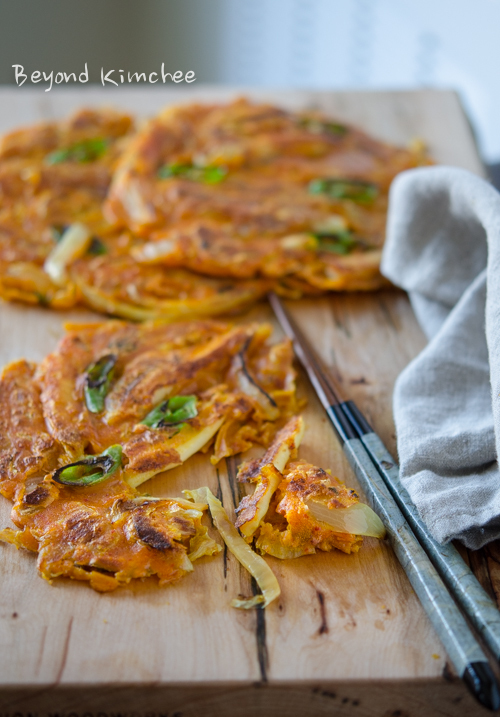 Here I contribute another one to the list; the Curry Kimchi Pancakes. Yes, it has curry powder in the recipe. I think the idea originally came from a random TV celebrity in Korea. Some loves it and some don’t. I happened to love it. 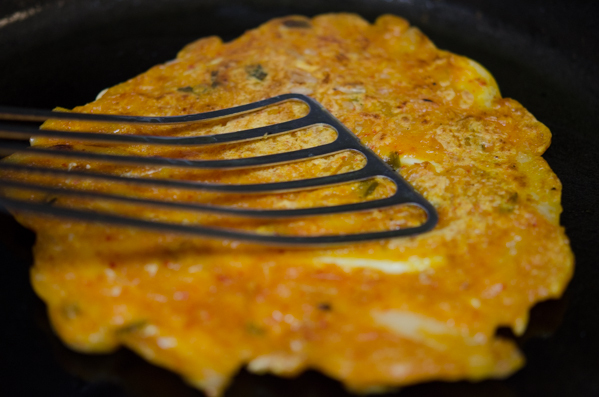 The key to make this exotic pancake to the “Love it!” stage is finding the right balance of kimchi and the curry powder. 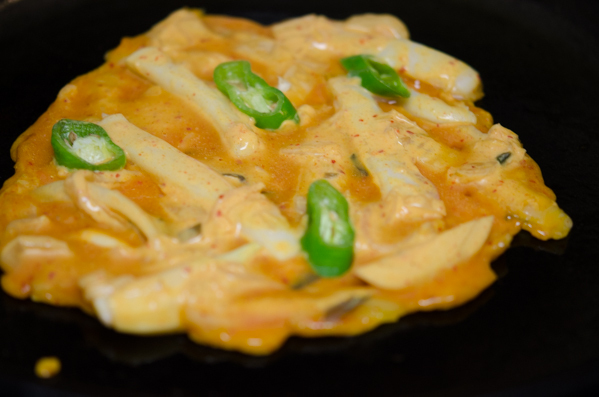 You don’t want curry to overpower kimchi or vice-versa. Try the recipe I give you and you will be amazed how they go so well together. Do you know what this is? This is a squid body without the tentacles. 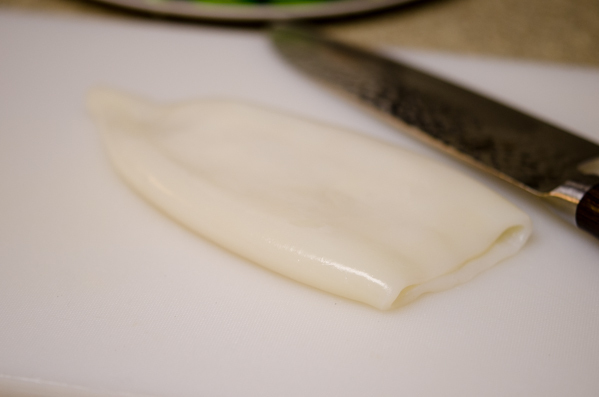 I found a frozen squid package which has been cleaned and the skin removed in a Korean grocery store. If you can’t find it or can’t stand the squid like my husband, use calamari or shrimp instead. Or omit the whole seafood thing to make complete vegan. You are the boss of your own creation, so do whatever that please you. 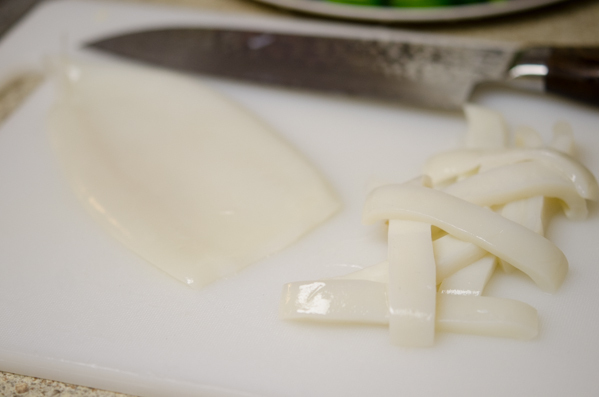 Slice the squid into 1/2″ wide strips. Set aside. 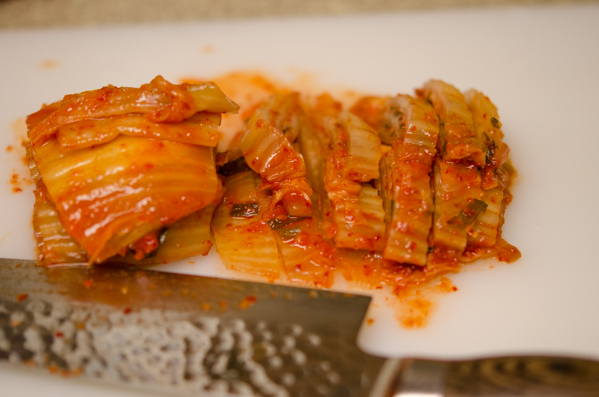 Slice your well fermented sour kimchi (cabbage kimchi) thinly. 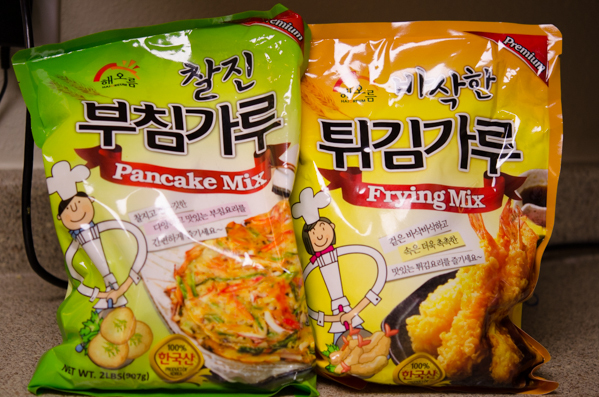 These are Korean style pancake mix and frying mix. Now, because the package states “pancake mix”, it doesn’t mean you can use them for your western style breakfast pancakes. You will regret a big time! I like to combine both mixes this time to create more crisp texture on the pancakes. 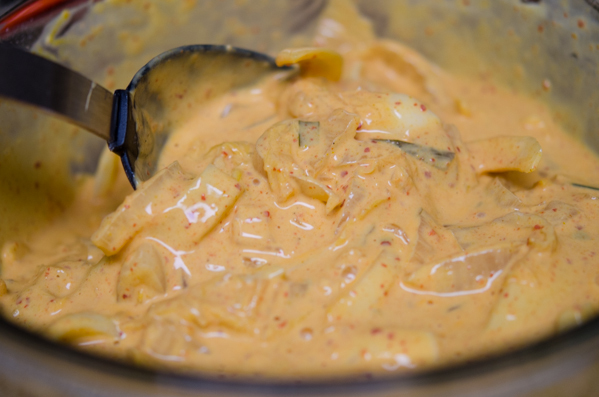 Combine the mixes and add 1-1/2 teaspoon curry powder. Mix all well. Add very cold ice water and mix. Cold batter makes crispier pancakes. This is the batter. 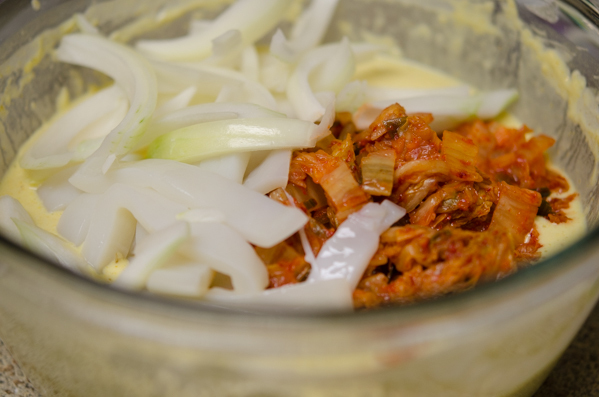 Add the squid, kimchi, and some sliced onions. 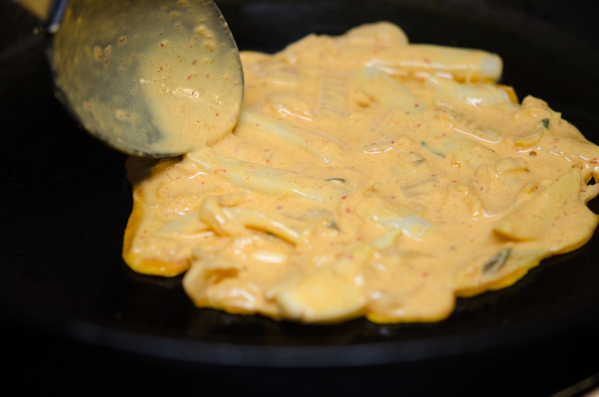 Onions will cut down the saltiness of kimchi and add a little sweetness to the bite. 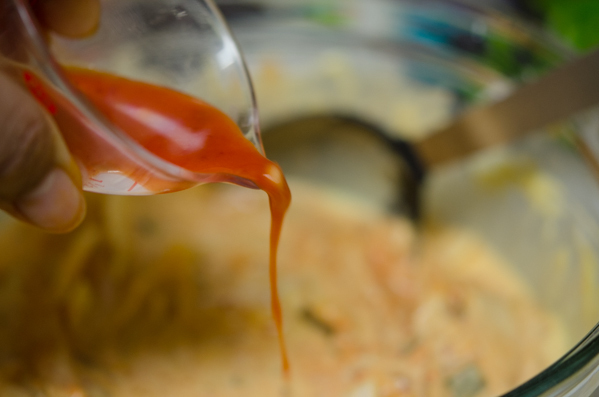 If your kimchi has some juice in the container, add a little bit to the batter. It adds flavor. 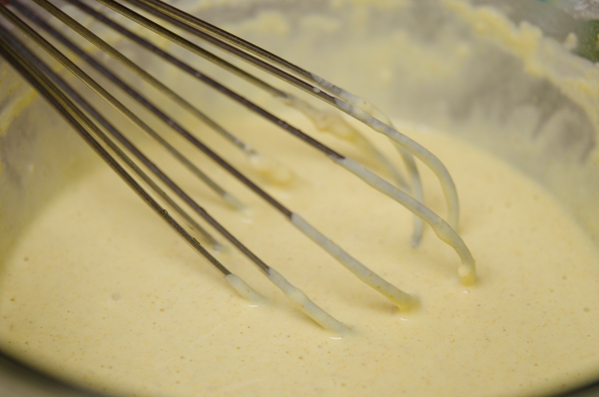 Mix all up and the pancake batter is ready to hit the pan. Heat oil in a skillet over medium heat, spread a big spoonful of your pancake batter thinly. How big? The size is up to you. I dotted with green chili slices to torture myself. You better not if you can’t handle the heat so well. Cook 3-4 minutes on one side. Then, flip and cook another 3 minutes to the other side. Drizzle more oil if your skillet seems dry. That’s it. No brainier, right? Serve hot as is. You don’t need any dipping sauce to go with. It is good on its own. You will love the exotic flavor. However, just like other Korean style pancakes, reheated leftover is not as great. So eat them all in one sitting hot right out of the skillet. This was my lunch and I was quite satisfied. It is great to see sunlight again after having two days of snow storm. My kids were not happy to go back to school this morning but I am. Hope everyone is safe and sound. The printable recipe is below in case you need. Enjoy! 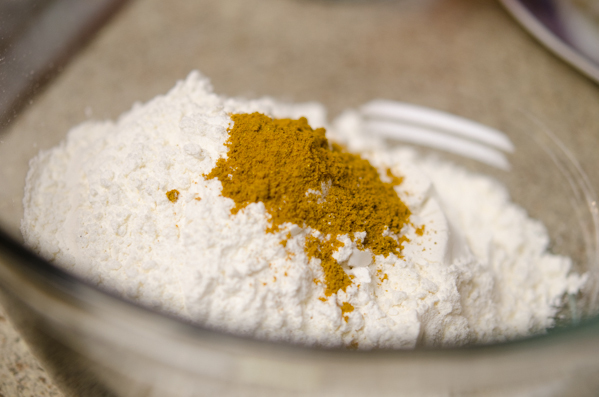 In a large mixing bowl, combine Korean pancake mix, frying mix, and curry powder. Pour ice water and mix well. Add kimchi, squid, onion, and kimchi juice. Combine well. 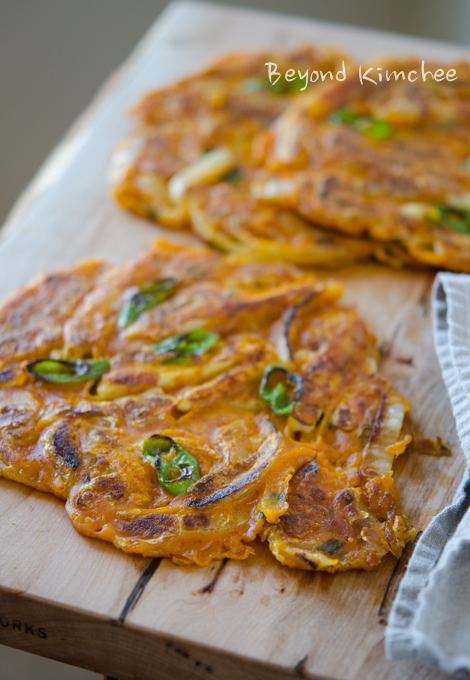 I have had kimchi pancakes before! But never curry ones. Love the idea - thanks. Looks delicious, reddish and spicy! And squid is such a good addition, too. You can definitely interchange the squid and calamari in recipes. They are pretty similar but the major difference is that calamari is smaller than squid. Also calamari is much softer in texture, therefore, more pricy. Oh, I used Indian curry. I seriously can't wait to try this!! Curry flavor is totally new to me and I LOVE IT!!! thanks for the idea of mixing the batters. i've only used the pancake batter in the past and thought the result was too *soft* quickly after cooking. i'll definitely give it a try! looks wonderful...I haven't tried a mix yet as I make my batter from mung beans but am willing to give it a go...btw..when I make my mung bean batter I use a Japanese dashi for moisture...gives it a nice twist.